With the warmer than average spring this year, I am so enjoying my garden and the abundance of flowers in bloom. 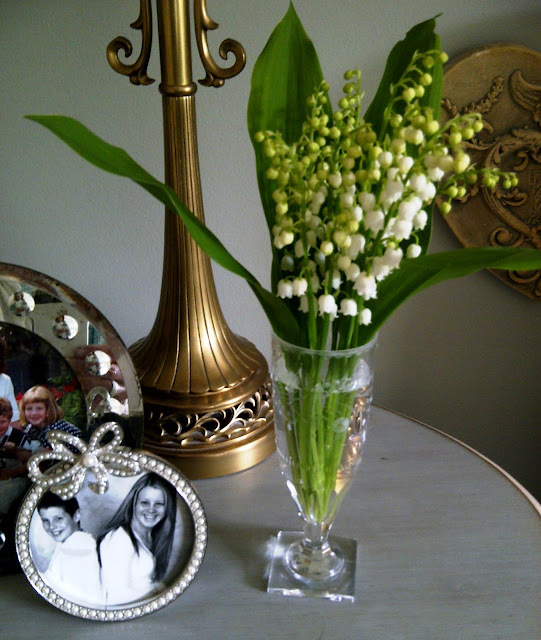 This week I picked some lily of the valley. It is a pretty, white, bell shaped flower with the most amazing scent. Scent is such an important part of my love of flowers and the sweet scent of lily of the valley greets me in the morning when I wake. Heavenly! Just wanted to tell you that I tried the cauliflower steaks this weekend and everyone loved it. I am now a fan of your blog site. Hi Kim. So glad you enjoyed it! And I am glad you are enjoying my blog.